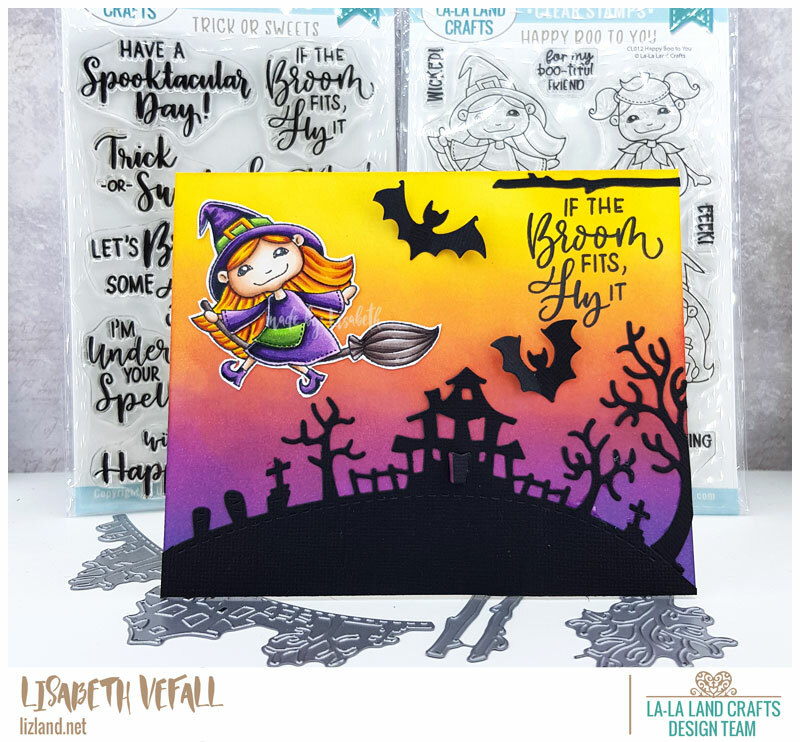 It’s time for a new La-La Land Crafts release and this time Halloween is on the menu! For this post I’m going to show you the Batty for You clear stamp set. There are several super cute bats and I decided to make a wobble card for mine! You know what else is great?! 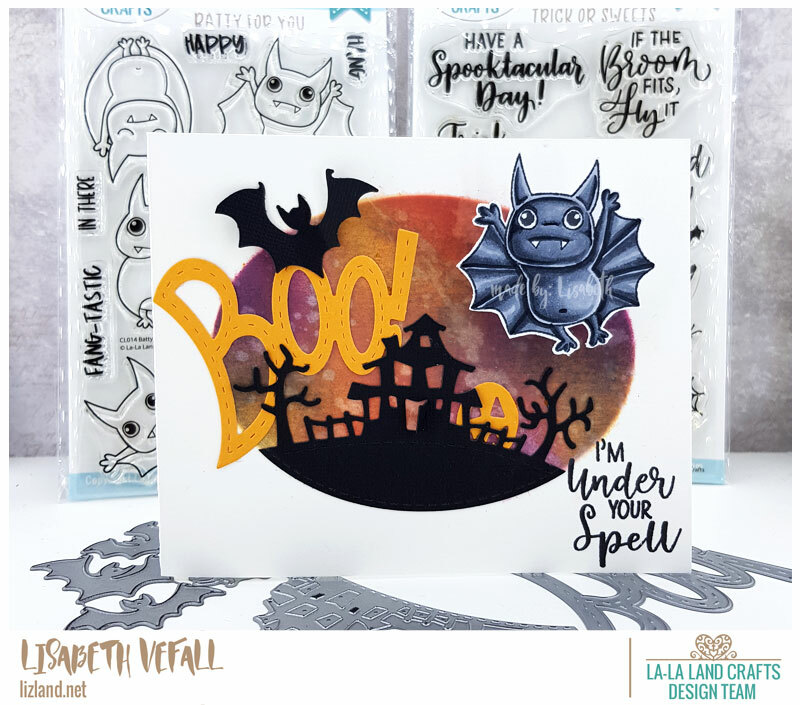 LLLC finally has a sentiment stamp set! I LOVE the writing on it and the sentiments are so much fun! Win/Win! You can find all the products linked under the photo, including all the new dies (and some old that I had to have coz they are awesome!) and of course the list of colours I used to colour up the bat. Oh and the background? That was made with various distress inks and some water, using an oval LLLC die I used to make a stencil.